For Recruiting teams 10+, please contact us. Is this your first Oregon Recruiters conference? Hear directly from our recruiting conference attendees with feedback on their experiences and the value of attending. 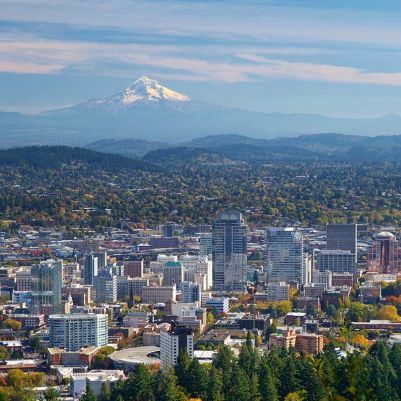 Join Oregon Recruiters for a premier professional development conference with 200+ of your Recruiting and HR peers, on Wednesday, May 1st, 2019! The event will be held at the Oregon Zoo in Portland. Steve is the Director of Talent Experience & People Analytics at Twitter, tasked with delivering exceptional digital and personalized experiences for candidates and employees. His group supports the Talent Acquisition and the People organization and helps to attract, grow, and engage top talent. The Talent Experience's teams vision is simple, to make Twitter the #1 career destination in the universe. The health of our Twitter team depends on the experiences we create for our employees at every step in their journey, from applicant to hire. At Twitter we have the opportunity to create something special, we’re eliminating bureaucracy, hierarchy, ego, and silos so we can have fun and make amazing things happen. Prior to Twitter Steve spent eleven years at Adidas leading their Talent Futures team, responsible for the Adidas talent brand, talent acquisition digital innovation, analytics, and building future capability through learning program design and activation. Before joining Adidas Steve spent seven years at Waggoner Edstrom Worldwide where he led recruiting for their Microsoft communications team and helped to build their global talent sourcing strategy. He started off in the industry cutting his teeth, like many others, on the agency side. Andy Edmundson moved from Australia to Portland in 2007. After juggling careers in Finance and as a Semi-Professional Rugby Athlete and Coach, he made the move to Staffing with Kelly Financial Services. While there he formed a passion for Corporate Recruiting and took an opportunity at Adidas where he learned from some of the best on Employer Branding and identifying Culture Fit. Andy has now been leading Talent Acquisition at Craft Brew Alliance for 8 years and has championed the role his team can play in evolving the culture and attracting the best talent at a time when Craft Beer has seen rapid growth in volume and competition. Andy studied Agricultural Business at Charles Sturt University and has since added certifications from HCI, Talent Acquisition Strategist, and Social Talent, Recruiting Ninja. Outside of work, Andy loves working on his hobby farm and connecting with others who are passionate about Talent, Culture, Employer Branding and other challenges that face the workforce of the future. Over the course of her 20-year career in recruiting, Sara has developed a passion and talent for distilling the complexity of workplace culture into straightforward, scalable programs to make the smartest hiring choices. Sara is Director of Talent Acquisition at Cura Cannabis Solutions--#1 on the Inc 5000 Fastest Growing companies--and is excited to be part of a company where Everything is Possible! Sara takes great pride in the role Talent Acquisition plays in attracting and identifying the right candidates who will strengthen and contribute to Cura's diverse and inclusive culture...all with a mind to providing an excellent experience throughout the process for candidates and hiring teams, alike. Sara was born in England and immigrated to the United States when she was 12. Her academic background is in Theatre and Dramatic Theory. She actively volunteers with the Portland Symphonic Girlchoir and the Portland Workforce Alliance. Andrew leads Intel’s global employer brand strategy. A lifelong marketer, Andrew put a premium on efforts that balance the needs of the business and the needs of our target audiences. Having worked in marketing for over 20 years, he puts a heavy emphasis on finding key audience truths and making sure our story (as a product provider or an employer) is told in a relevant and timely way. It is that connection that moves the bar for companies and creates opportunities. As a result of having consulted for Fortune 500 recruiting teams, including CVS Health, Merck, Wells Fargo, and Pepsi, Janine Woodworth, Director of Strategic Service at Jobvite, has a unique insider’s look at how these companies recruit for talent. More importantly, Janine was fundamental in helping to streamline these companies’ recruiting processes while optimizing their recruiting systems and technologies to build out a high-performance talent acquisition function. Dustin is a talent acquisition veteran with a diverse recruiting experience that spans both agency and in-house corporate settings across a wide variety of industries. Starting his career at Aerotek, he has since worked with David Evans & Associates, Adidas, and is currently at Nike. A manager and builder of high performing recruiting teams and effective recruiting strategies, he prides himself on creative use of data and analytics in storytelling. How personal biases influence hiring processes. Tools to help recognize and mitigate personal biases. Recruiting organizations are shifting from the traditional recruiting/sourcing model to one that also includes responsibility for marketing the employee brand and value propositions of the company. One goal of this employer branding effort is to build talent pipelines that the recruiters/sourcers can utilize for talent acquisition. This session will feature a panel of industry experts from a variety of companies and industries and was designed to provide recruiters with tools and tips for transitioning into talent marketers.